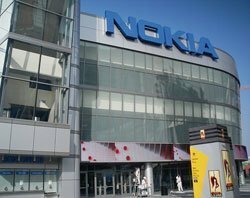 Nokia's Symbian operating system (OS) will be supported for another five years after the company finalised a deal to outsource support and development to Accenture. Accenture will continue to support and develop the Symbian platform before becoming a supplier for Nokia's transition to Microsoft's Windows Phone OS platform. "Our collaboration with Accenture allows us to meet our ongoing commitment to support our Symbian smartphone customers," said Jo Harlow, executive vice-president for smart devices at Nokia. Nokia will also transfer 2,800 employees to Accenture as part of the deal. The company said it expects employees to transfer by the end of 2011. Some job losses will take effect from 2012 as part of its 7,000 worldwide job-shedding exercise. "As we move our primary smartphone platform to Windows Phone, we will look to explore potential opportunities to tap this talent pool as they develop and expand their knowledge and capabilities beyond Symbian," added Harlow. Nokia formed a partnership with Microsoft in February 2011 and plans to unveil its first mobile phones running Microsoft's Windows Phone operating system before the end of 2011. Nokia recently warned sales of its mobile phones will "substantially" slump in the second quarter of 2011. This is due to its current integration with Microsoft. Nokia cancelled its annual outlook and expects operating margin to break even for the quarter.